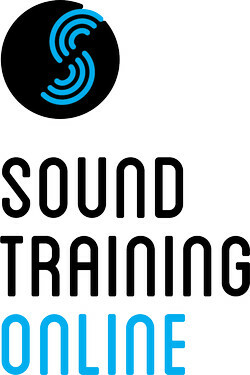 Sound Training Online has announced it has scheduled the release of two new courses, covering Ableton Live and Native Instruments Maschine 2.0. 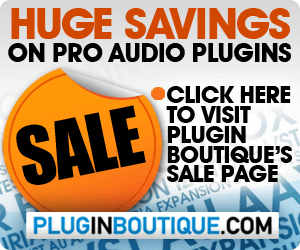 Sound Training Online has enjoyed great success to date, by offering extremely high quality courses at affordable prices. All Sound Training Online lecturers are active Music Industry professionals, who have built and maintained successful careers within the Music Industry. Using their expertise and years of experience, these professionals have created courses that teach a unique range of skills, so students can build a successful musical career of their own. Sound Training Online lecturers focus on students as individuals, providing them with personalised feedback and guidance throughout their course. This enables students to greatly improve the quality of their productions, rapidly increase their workflow, and most importantly, realise their musical ideas. Ableton Live with Martin Clancy is a four-week course that takes an in-depth look at the main functions of this hugely popular software. The course is tailored for those who are new to Ableton, and its aim is to quickly familiarise students with the software’s many features, allowing you to apply them to your own personal setup. Whether you are an aspiring Music Producer, Live Performer, or want to use Ableton Live for DJ-ing purposes, this course will give you the start that you need. Music Production in Maschine 2.0 by by Will Kinsella is a comprehensive 6 week programme that covers all aspects of producing music within Native Instruments Maschine 2.0 software. By the end of the 6 week course, learners will have created their own fully mixed arrangement, all within Maschine. The course also details how to integrate Maschine into their existing production setup. The course is taught from the perspective of the Maschine software, but also demonstrates how to use the Maschine hardware controller in order to effectively increase your workflow. Electronic Music Production with Full Tilt covers everything you need to know to start producing music using Logic Pro X. The comprehensive 12 week programme is taught by the highly-renowned dance music act Full Tilt, who help elevate your tracks to a professional standard. Full Tilt provide weekly personalised feedback and guidance on production-based assignments, and with over 10 years of experience producing electronic music, will help guide your initial track ideas into finished productions. Both Ableton Live and Maschine 2.0 courses are kicking off on October 13th, 2014. The extremely popular Electronic Music Production with Full Tilt course will also be resuming on November 11th, 2014.